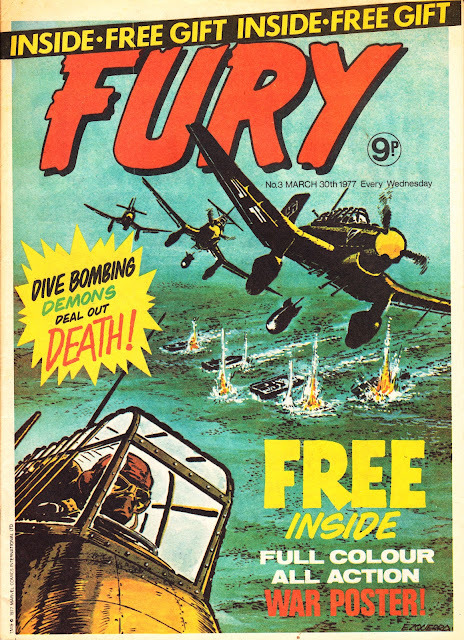 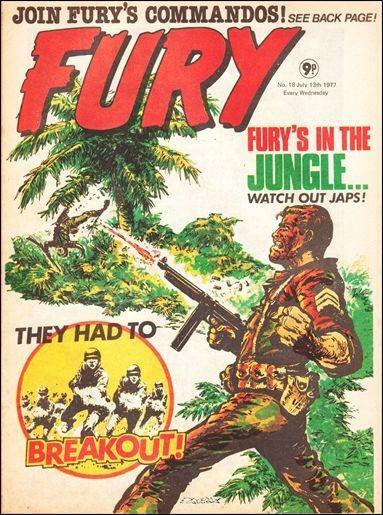 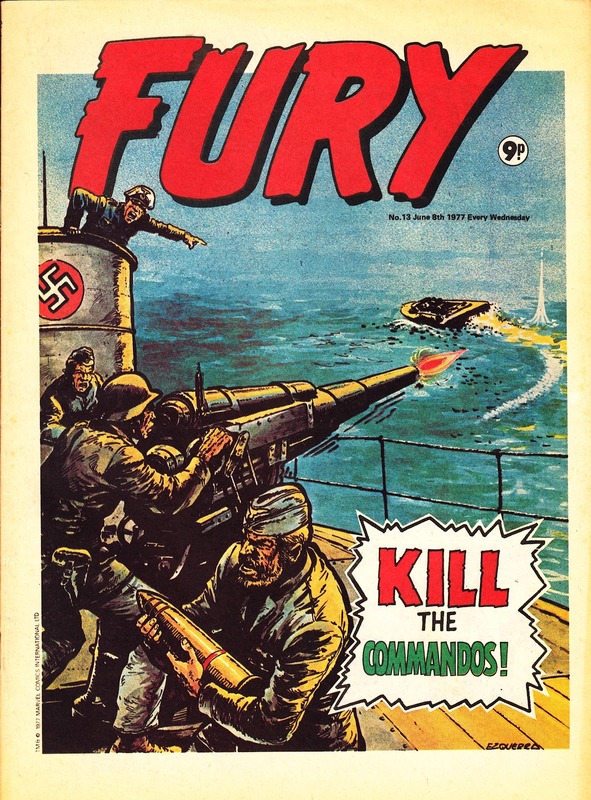 The much-mocked FURY (Dez Skinn cites it as an example of how far Marvel UK had lost its way in the second-half of the seventies) is a rarity for the Annex of Ideas: the only time they tried a pure-war weekly (as discussed yesterday, FORCES IN COMBAT, despite the title and run of military covers, was really a mixed action comic) and a rare example of management looking at the UK market, seeing what was selling, and launching a me-too version. 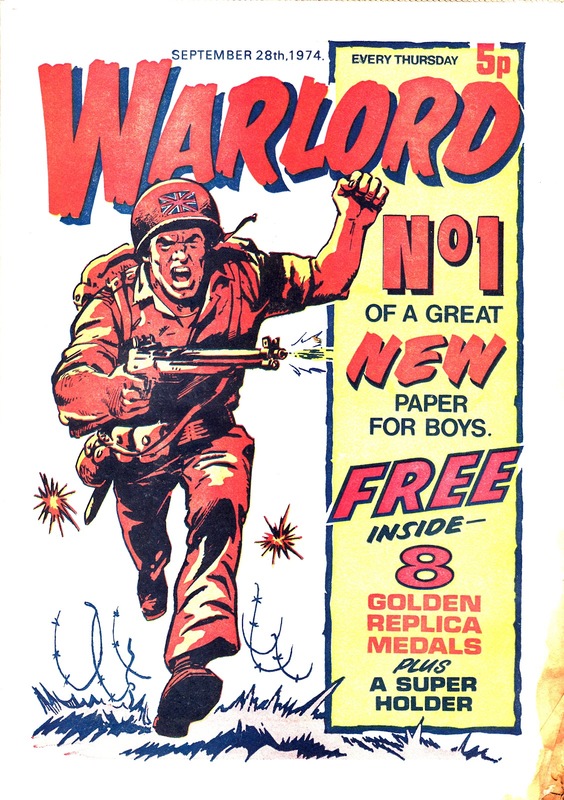 Britain's boom in war weeklies started with DC Thomson's WARLORD in September 1974. 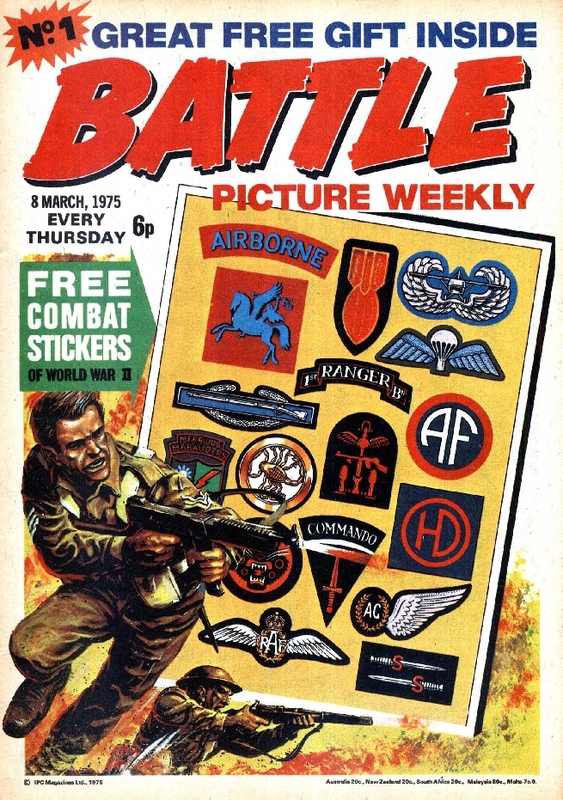 Seeing the healthy sales figures, IPC launched their own (even more radical) BATTLE PICTURE WEEKLY (latterly just BATTLE) the following March. 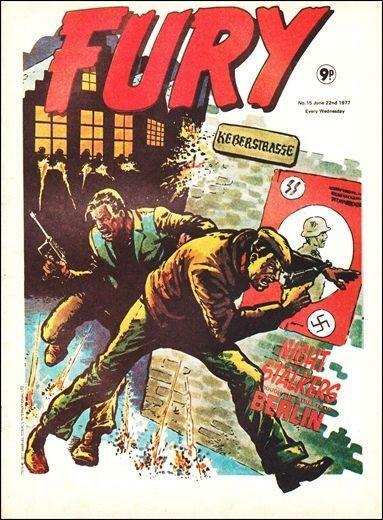 That sold well too. 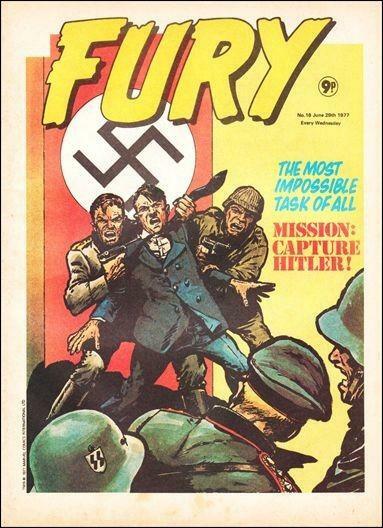 And Marvel wanted a piece of the action. The impression created by Marvel's early seventies UK launches is that they looked at the material they already had and attempted to foist it onto British readers. If it sold: brilliant. 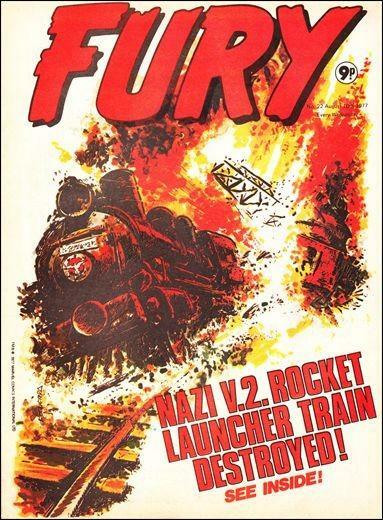 If it didn't: no problem, launch another. 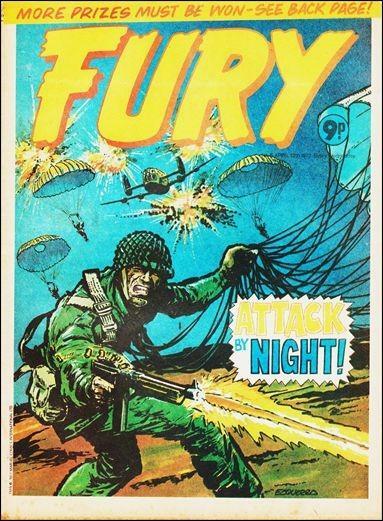 With Fury, under the auspices of Neil Tennant (yup, that one), you really felt like Marvel had analysed their competitors and, to the best of their ability (and small budgets), mimicked them. 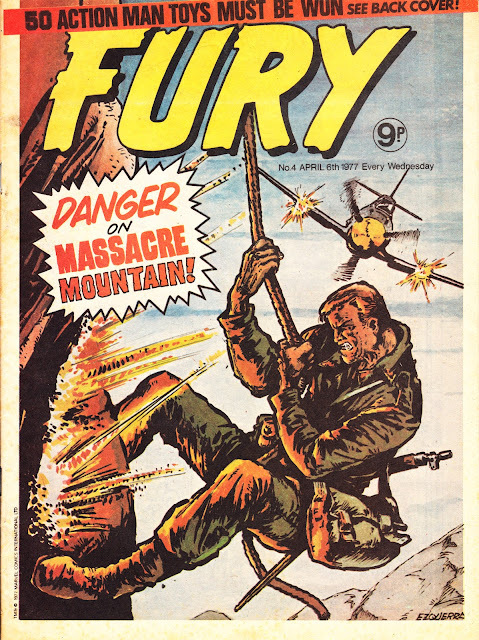 Marvel UK's covers were always a haphazard concoction of reworked US originals and specially-comissioned new art, from US creators, to plug the gaps. 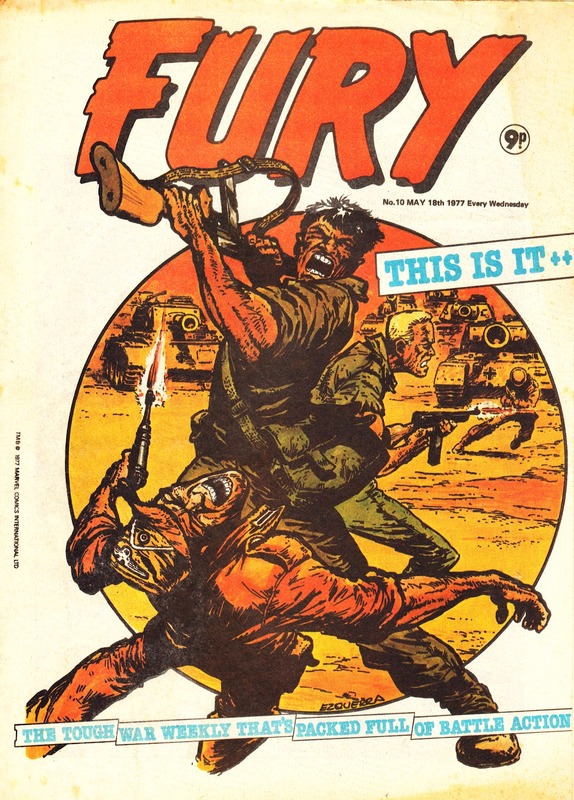 With Fury, they turned to Spanish artist (and master of his game) Carlos Ezquerra to supply brand-new covers in the Battle style. 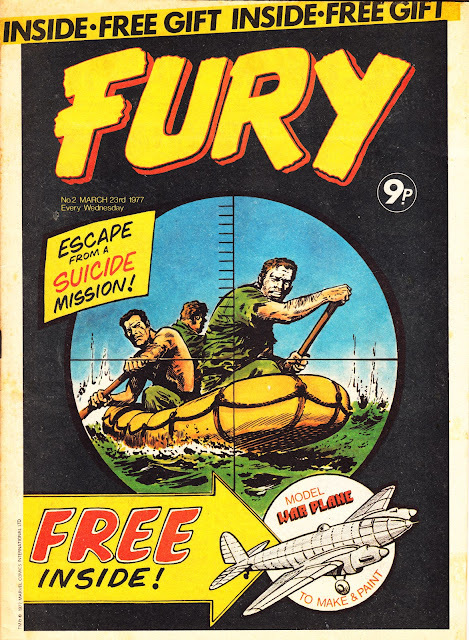 A radical departure. 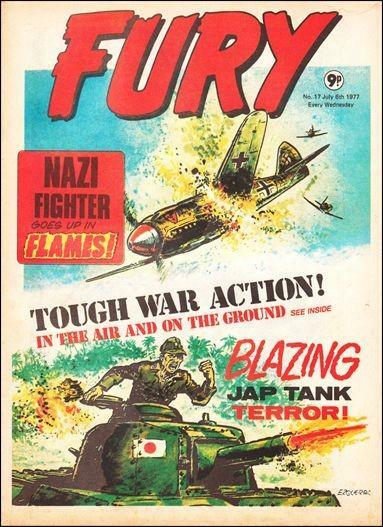 They probably didn't always match the contents... but that's part of the M-UK charm. 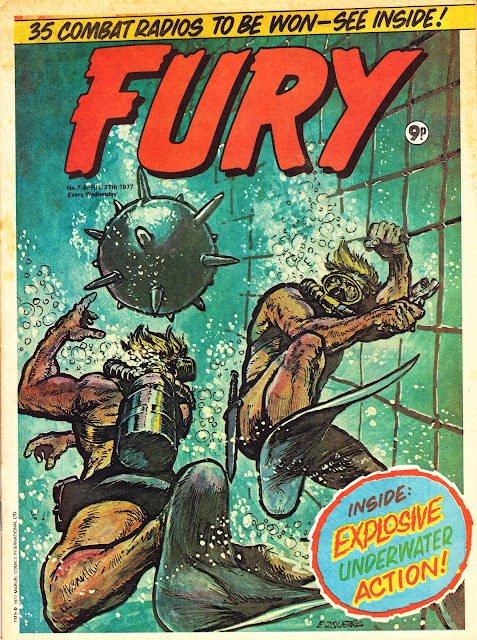 Unfortunately, Marvel didn't lavish as much attention on the interiors. 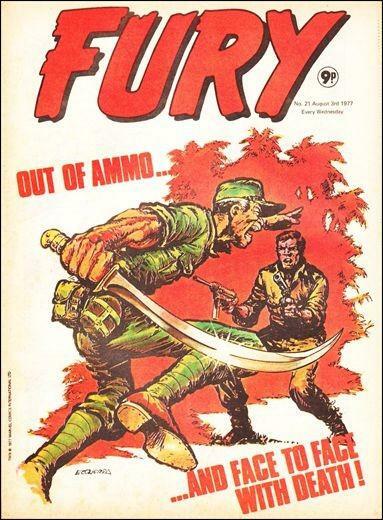 While Battle and Warlord were shaking up the industry with new anti-heroes, plucky tommies and unprecedented levels of violence (plus some of-the-time casual racism), Marvel fell back on tired old US reprints about American daring-do and single-handedly vanquishing the world of the Axis of Evil. 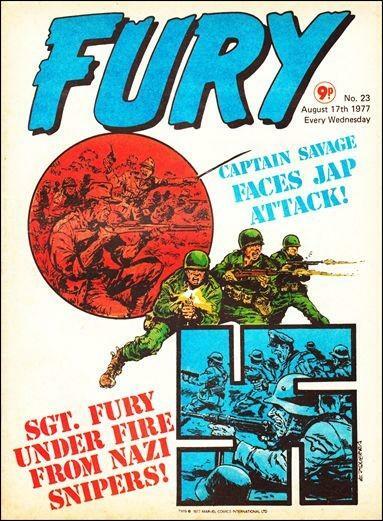 Captain Savage and the Leatherneck Commandos and (inevitably) Sgt. 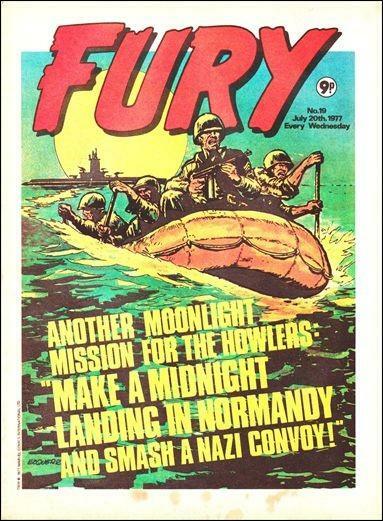 Fury and his Howling Commandos (can you see a pattern?) 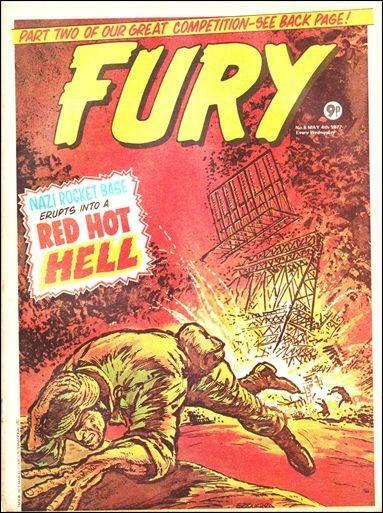 were poor substitutes for the strips emerging from Dundee and King's Reach Tower. 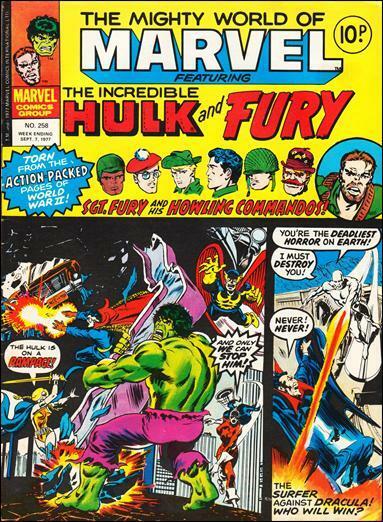 Marvel's new-found attention to the competition even extended to the format. 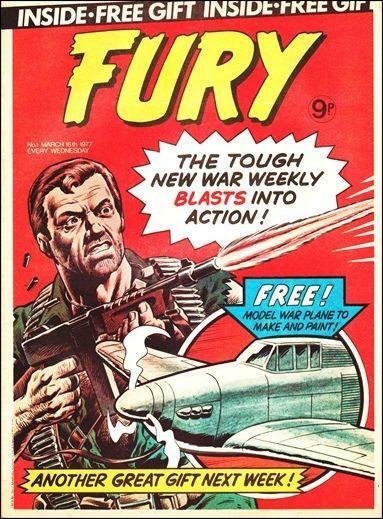 For the first time since they were introduced (and pre-empting Skinn's overhaul of the weeklies in '79), glossy covers were abandoned (shaving a penny off the cover price) in favour of the same newsprint covers-and-interior printing favoured by the opposition. 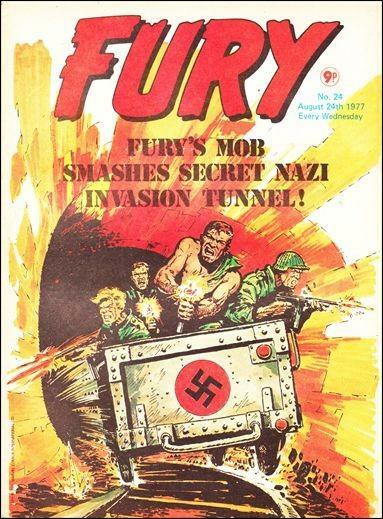 Inevitably, and despite Carlos' best efforts, Fury didn't survive the summer of '77 and merged with THE MIGHTY WORLD OF MARVEL (fast becoming a dumping ground of Marvel's various failures) after only 25 issues. The first combined issue was 258. 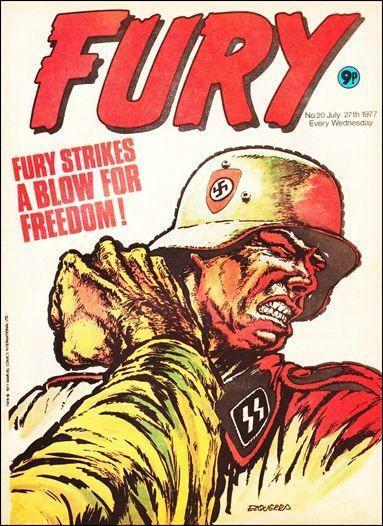 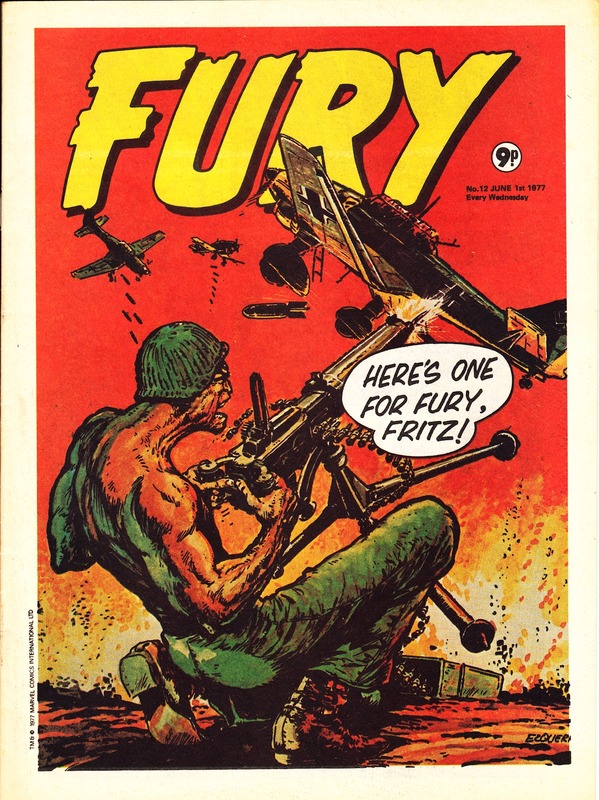 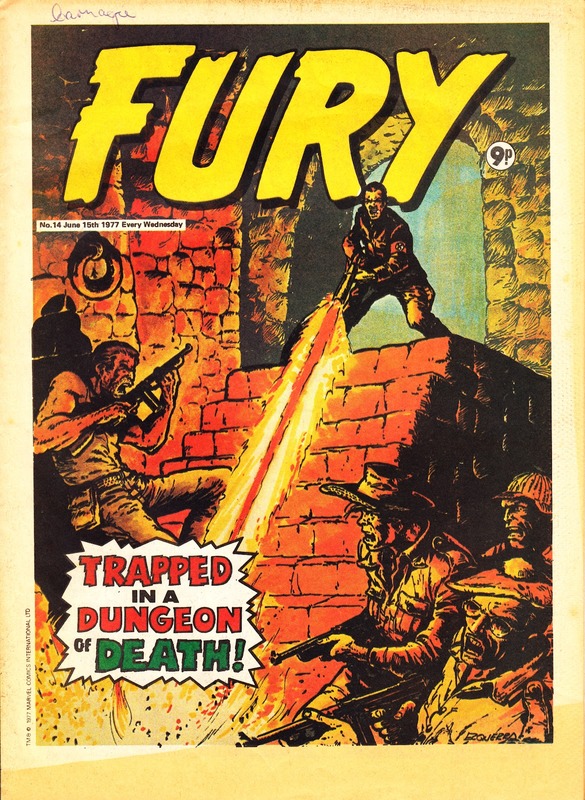 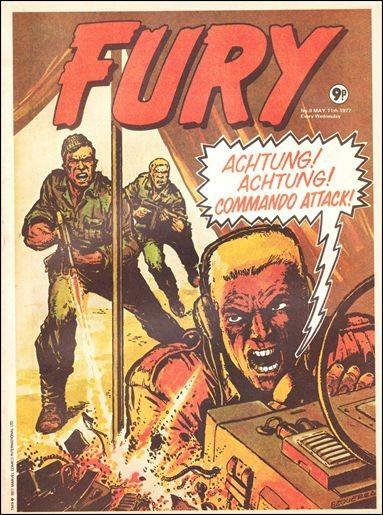 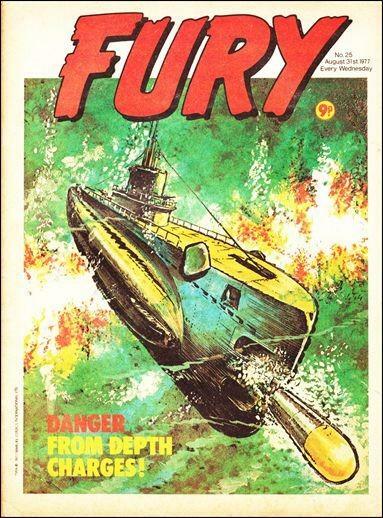 The Fury cover-billing survived until issue 297 (reworked to read "Sgt. 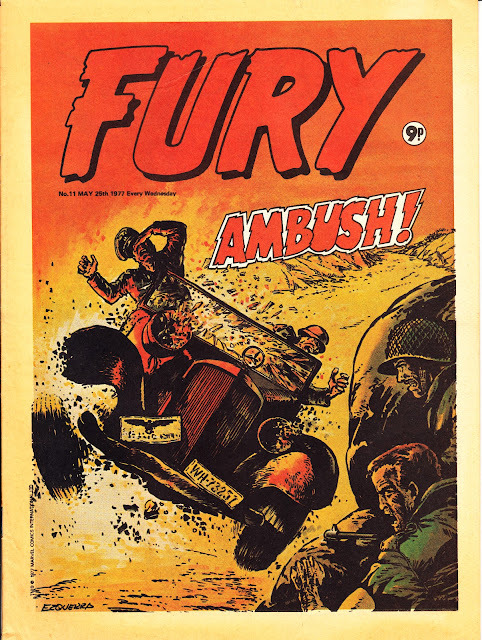 Fury" from 275) which meant it lasted longer in the pages of MWOM than as a comic in its own right. 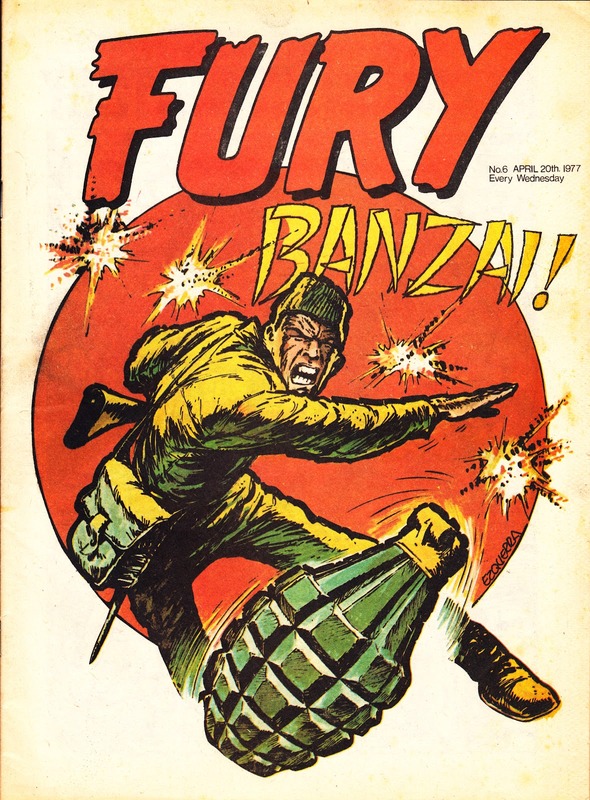 It's billing was guzumped by the just-cancelled (COMPLETE) FANTASTIC FOUR the following week. WARLORD soldiered-on (ahem) until September 1986 (627 issues), outlived by BATTLE which, after years of slow decline, finally folded into the pages of EAGLE (an MWOM for the eighties, scooping up IPC's other ailing weeklies) in January 1988 (673 issues).